With over 30 years’ experience in the legal field, Dr. Hammad is at the forefront of the Saudi experience in the Legal Structuring and Development of Sustainable Legal Structures for Family Businesses. He is also a founding member of Hammad & Al-Mehdar Law Firm, leading them to the success they enjoy today. 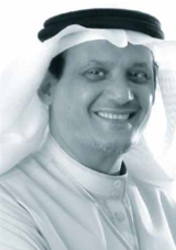 Dr. Hammad has been published in his own right in several periodicals, including Legal Articles, Encyclopedia of Capital Market Laws, Encyclopedia of Saudi Laws (9 Values), Islamic Investment Funds and also as a contributor in International Banking and Finance. He has also written research papers on Penalty Conditions in Saudi Law and Arbitration in Yemen. Dr. Hammad holds both a Bachelor’s degree in Law from Egypt and a Masters’ degree in Law gained in the USA, together with a doctorate (PhD) of Philosophy in Islamic Finance. Amongst other positions held, he is a Member of the GCC Commercial Arbitration Center and a Fellow of the Institute of International Commercial Arbitration.